W I L D B L O O M : the weekly: sept 17 - sept 23.
the weekly: sept 17 - sept 23. - i just love him. - diffusing oils for my sickly baby. - i've heard so many good things about this book. - i bought my first cookbook. i needed something with simple recipes, and this seems like the perfect fit for now! - i got my young living starter kit in the mail! i also started a little insta account to learn + connect with other oily friends. - i received a jury duty summons. it's my first, and i think it's exciting. - i took the day off on friday to go shopping with my mama! it was just like old times + exactly what i needed. - we ventured out to el dorado to camp on friday night. the weather - you guys - it was perfect. - He is near in our brokenness. during worship on wednesday night, i had an amazing moment. i can't quite describe it, but i won't forget it. ever. i've been struggling with a lot lately, and He covered me with His love. - on sunday, we woke up with a sickly baby. it made my mama heart so sad, but i wasn't mad about the extra cuddles. the weekly: september 10th - september 16th. the weekly: sept 3rd - sept 9th. 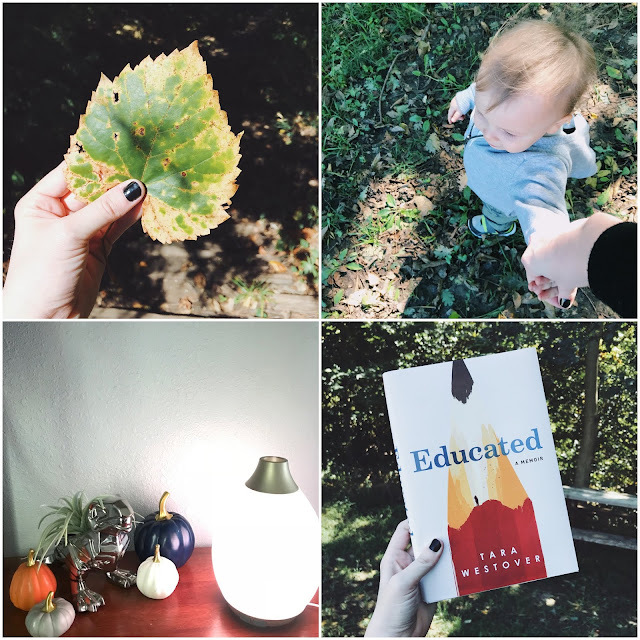 the weekly: august 27th - september 2nd.